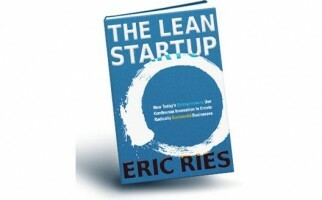 Lean startup methodology exploded into the business world with the 2011 publication of Eric Ries’ The Lean Startup. Eric Ries describes lean startup as using “validated learning” to iteratively arrive at a viable business model. The entrepreneur interviews customers to determine their needs, develops a hypothesis around a product or service, and then continually tests the hypothesis with customers until a profitable product or service can be put into the marketplace. Lean startup differs from traditional business startup methods in that the customer is involved even when a product or service is created. Lean startup has led to a number of other concepts such as lean analytics, lean user experience (UX) and lean marketing. Every phase of business operations can benefit from lean concepts. Lean startup has also been applied to the nonprofit sector through such courses as Acumen’s Lean for Social Good. The former Federal Chief Technology Officer, Todd Park, advocated using lean startup for government programs such as the Consumer Financial Protection Bureau. The U.S. General Services Administration digital services unit, 18F, uses lean startup principles in providing application development for other federal agencies. However, even with its popularity, not every organization should use lean startup. It is a new methodology and, admittedly, there is much hype that obscures the trendy practices from the trusted practices. Like older methodologies such as project management or business process management, there is still a good deal of work and testing to develop lean startup fully into a reliable methodology that consistently delivers successful results. Even so, there are three key concepts that governments can use to improve their delivery of government services: empathy, metrics that matter and being truly lean. Lean startup practitioners spend much of their time interviewing prospective customers before even planning the product or service. The goal is to learn what problems bedevil customers and just how severe is the problem. The idea is to find the “migraine” problem for which a customer is very willing to pay for the solution. Lean startup practitioners do not try to sell the customer at this time. The purpose is to understand the customer’s problem fully and to generate hypothetical solutions. The lean startup practitioner then methodically tests the solutions with the customers. The purpose is to arrive at a solution that solves the problem, which customers recognize will solve the problem, and, most importantly, customers will pay for to solve their problem. Lean startups thrive on data. Every proposed solution is considered an assumption that must be tested with actual customers before being validated. Many lean startup practitioners observe that the essence of the lean startup methodology is applying the scientific method to starting a business. All these experiments generate data that must be analyzed to arrive at the final product or service. However, the metrics must matter. There are “vanity metrics” that are misleading and can lead the lean startup down the wrong path. For example, website visits may be a vanity metric. Even though there are numerous Web visitors, only a tiny percentage will pay for the proposed solution. Good metrics relates directly to the customers’ problem and how willing the customers’ are to adopt a proposed solution to their problem. The “lean” in lean startup comes from the intense focus on validating and solving the customers’ problem. Any business activity that doesn’t directly solve the customers’ problem or support the team that is building the solution is considered non-essential to the startup and must be trimmed away. Being lean is vital to the startup because the startup is not just a smaller version of the eventual business model. In the lean startup methodology, the startup is a set of experiments to find a viable business model that can be scaled up. Thus, there are many solutions to test and discard before the final solution can be found. The faster and more cost-effectively the lean startup can run through the experiment phase; the more likely a successful solution will be found. Fully adopting all of the lean startup practices will not work in government because of the numerous constraints that government faces that do not affect the private sector. Even so, the three concepts of empathy, metrics that matter, and being lean by focusing on the customers’ problem are the foundation for an effective version of lean startup methodology for governments.